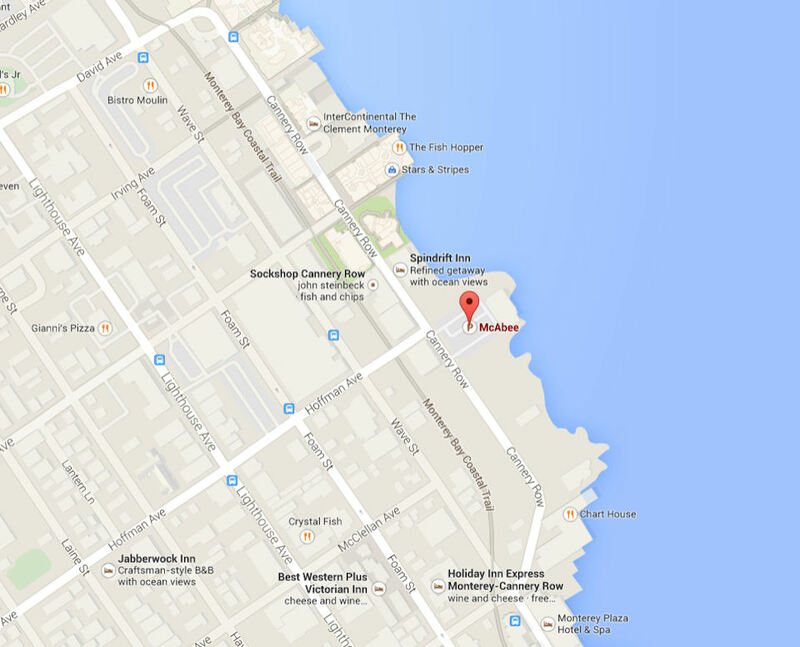 McAbee beach is a dive site on Monterey's Cannery Row. 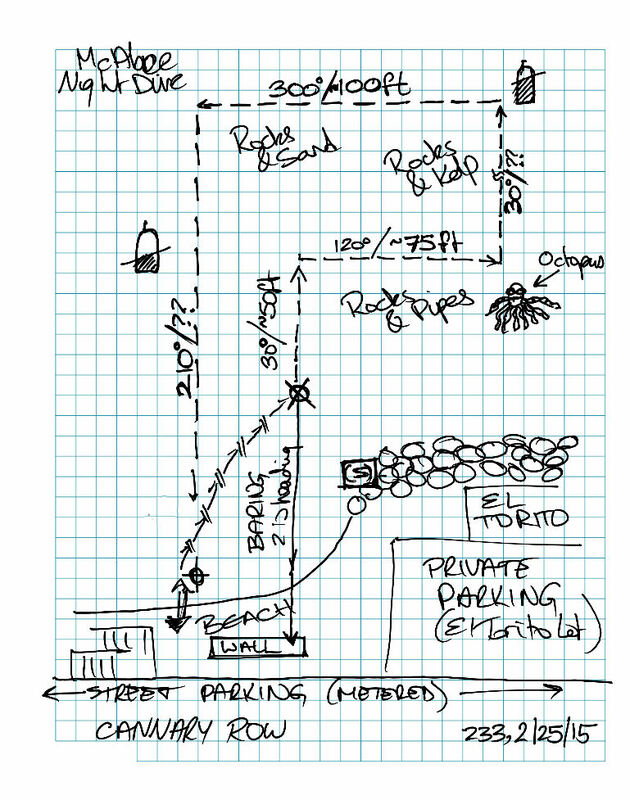 The dive site is accessed from the small beach between the El Torito restaurant and the Spindrift hotel. Street parking is available, metered. There is also a lot across the street, which charges by the day. The El Torito restaurant also has a parking lot, however, El Torito do not appear to be welcoming of divers in there lot at the moment (parking tickets have been issued recently!). Enter the water around the center of the beach, the is where the water is the calmest. Be aware of the drop-off, the beach has a shelf. A small problem on entry, and on exit - for short divers it can make the exit on this beach tricky. Swim away from the beach quickly, and bear towards the El Torito side of the beach. Plan to dive closer to the El Torito side of this beach (South East), this is the calmer water. If you dive towards the North, the water is shallow, and the surge and waves can become dangerous. On this dive, we dropped down just outside the rock-wall surrounding the El Torito restaurant. We dove the plan shown below. At first we swam parallel to the shore and the water remained pretty shallow (20ft). You will see plenty of old cannery pipes and plenty of rocks. We saw rock fish, decorator crabs. Also, in under the rocks I saw a good size octopus. I was hoping the pipes would have some eels, but wasn't lucky enough to see any. As we swam out from the beach (30degree heading) we got more kelp. The depth dropped to around 30ft for a while. There were still plenty of rocks, although the bottom did opened up a little and there were several sandy patches. Swimming back in, it got more rocky, gradually shallower, and a little surgy as we got in above 20ft. Here's a Critter Montage video. If you look carefully, around 45seconds in, you can see the octopus hiding in the rocks.